Believe it or not, it has nearly been three months since Apple reported its fiscal fourth quarter earnings. And you know what that means. On Tuesday, after the New York stock markets close for the night, the company will report its results for the the three month period from October through December. Apple's first fiscal quarter is traditionally the best for iPhone shipments since it starts up a few weeks after the latest models are released, and includes the holiday shopping season. However, no longer will we get to find out exactly how many iPhones were rung up during the quarter. The company has decided to stop releasing this information during its quarterly reports. To play the devil's advocate for a second, isn't it interesting that Apple has decided against giving us those numbers now that sales have been declining. One piece of information that Consumer Intelligence Research Partners (CIRP) computed from its recently released survey, was an increase in the number of U.S. iPhone buyers who paid up for more storage. As a result, the research organization says that the Average Selling Price (ASP) of the iPhone during the fiscal first quarter was $800. That would be up sequentially from an ASP of $793 reported during the fiscal fourth quarter of 2018. 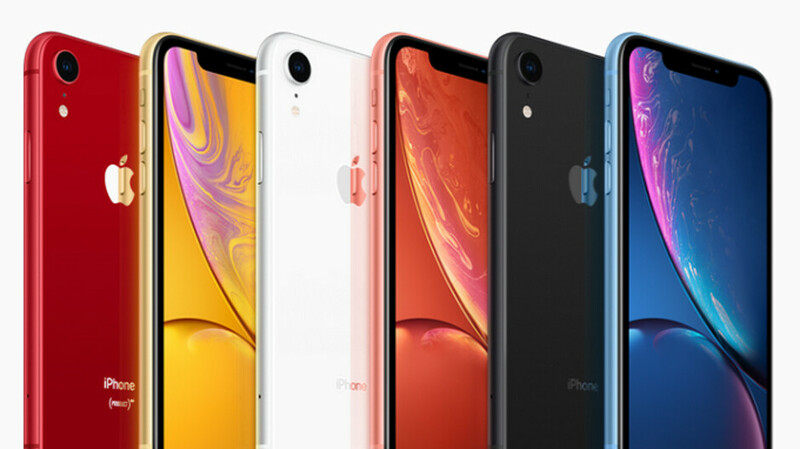 The "more affordable" Apple iPhone XR has reportedly been the top selling iPhone even though it got off to a late start. An ASP well over $800 could indicate that the iPhone XS and iPhone XS Max did even better than expected around the world. The three month period that Apple will report on tomorrow is the one that the company reduced revenue guidance for earlier this month. The company dropped its forecast to $84 billion from a range of $89 billion-$93 billion for the period. The next day, the company's shares dropped nearly 10% in one day. The announcement by Apple dovetails with the 31 analysts who have downgraded their revenue estimates for Apple's fiscal Q1 over the last 75 days. No analyst upgraded his or her revenue forecast over the same period of time. If Apple reports gross of $84 billion for the three months, it will be a 4.9% decline year-over-year. Earnings per share are expected to come in at $4.17 according to the Wall Street consensus. That would be a 7.2% gain year-over-year. Perhaps the most important number to watch will be services revenue. Apple is looking to grow this figure to $50 billion on an annual basis by fiscal 2020. For the fiscal fourth quarter of 2018, Apple reported $10 billion in services gross. This segment relies on the 1.5 billion active iPhone units reportedly in use, and includes the App Store, Apple Music, iTunes, AppleCare, Apple Pay and more. It is the second largest revenue generator for Apple after the iPhone, and the most profitable part of the company. As usual, the immediate reaction to the company's shares will tell us what Wall Street thought of the report. But don't try to gauge this from the action of Apple's shares during the regular 9:30am to 4:00pm ET trading day. As soon as the earnings are reported, which usually takes place around 5pm ET, the after hours trading will give us the answer. Of course, analysts have their work cut out for them without Apple helping out by releasing iPhone sales. But there is other evidence, such as results from the supply chain, Apple's cut in Chinese wholesale prices and its trade-in discount offer, the cut in revenue guidance (blamed on lower iPhone upgrades and weak sales in China) that suggest that Apple sold fewer iPhone units for the first fiscal quarter of 2019 compared to the same quarter last year. Also, take a peak at Apple's guidance for the fiscal second quarter. While those numbers are hardly set in stone (as we found out earlier this month), they are an important indication of how Apple is doing during the current quarter that ends in March. It is going to be marginally higher than a disaster and the iMedia will tout it as a stupendous victory for all of humanity and that spin it as if it is good news. Then the stock will go up for the day before cratering by the end of the week. This is when "analysts" come out and play the blame game while the media tells us about the newest Apple ad and how amazing it is in a tragic attempt to advertise for Apple so the sweet nectar (read: event invites and early review devices) keeps tricking from on high at Cupertino. Sales in China were rumored to be down more than 20%, other parts of the world also reported decreased iPhone sales and that's gonna leave a mark on the revenue. The question is how much will the services compensate the loss in iPhone revenue. iPhone XR sales were higher because Apple was practically giving any discount it could to entice sales. People want a $400-$500 iPhone. I don’t understand why Apple can’t just repackage an older A11 into a newer body and sell it for that value pricing. They do it every year with the low cost iPad. Yep the raised trade-in promotion Apple has been aggressively running for a month on its homepage makes the XR just about affordable ($500-ish) and will count towards this “best selling” data. they won't because of shareholders, because of greed. Agree But damn , if apple would make a $500 to $600 phone with the good specs they would kill it. I have no doubt they would sale so many the share holders would be happy. They are still doing very good, just not as good as they would like. Please learn to spell “genius”, at least. They have positioned themselves as a luxury brand thinking that whatever they charged people will just pay. Adding a lower end range would take away from being a luxury item and apple want to stay in the high end market only.